Last night, I got down to business with the bridge on La Da Da Dee. I really like bridges. I like that feeling you get when everything's going along as expected, and then something starts to give, and you know you're off on a new journey. My music has always been about motion, about getting from one place to the next; departures and arrivals, transitions and stops. Here it was the question of straight vs. swung again. Well, not exactly swung. When I started taking jazz piano in college, one of the first things my teacher Bill Brown told me was "Don't swing. You can immediately tell the inexperienced players by the way they swing. All the modern players play straight." And he was right, in a sense. The concept of swing, as we're taught it in high school, is hopelessly outdated. 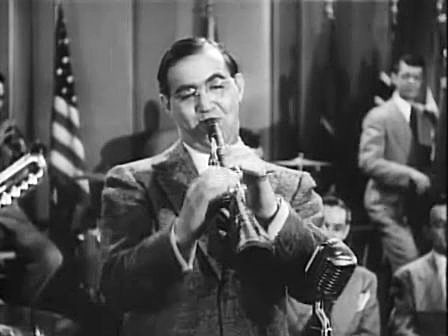 Whenever I hear that old stumbling broken triplet feeling, I picture Benny Goodman in a black-and-white film, entertaining the troops. (I don't know if he ever made such a film, but the imagery all just pops together.) Not that he wasn't great, but he's dead, and so, in the traditional sense, is swing. But I learned very quickly that straight wasn't exactly what Bill meant either. When he played, the beat charged forward like a train. You never wanted to get off because the train was always moving. Even when he paused between phrases, the momentum carried you through. That was my first lesson in lateness. That same year, Voodoo came out, and everything started to make sense. I realized that groove itself is built on departures and arrivals, on veering and returning, on cleanly and deftly swimming around and through time. That sometimes each beat is narrow, and sometimes it is very wide. That you can push them to your heart's content, but only if you keep track of exactly where they are. I know there's a lesson for life in there somewhere, aside from the obvious (and not so obvious) sexual parallels. Darned if I can figure out what it is. Maybe it's "don't go off on tangents, unless you have to to make a point." In this case, I didn't. Or maybe I just like to yap.